Have you got a little "Love Bean" lined up for Valentine’s Day this year? If not, it’s OK. You’re certainly not the only one. Luckily, our barista buds at Starbucks got our backs. At least, Starbucks employee Tony Aguilar from Tuscon, Ariz., does. According to Delish.com, Aguilar’s creative juices began to flow after themed holiday displays and products were brought to his shop (yes, already). The result? A pink frothy creation called the Valentine Frappuccino, a strawberry and creme frap with extra raspberry pumps for color, vanilla bean in the middle, blackberry on top and, of course, whipped cream. 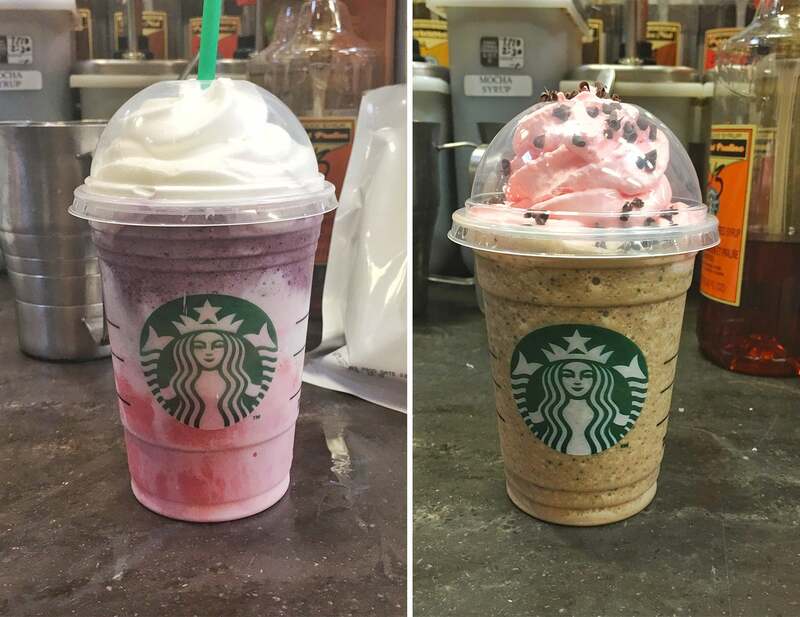 Soon to follow was the Love Bean Frappuccino, featuring raspberry-infused whipped cream and chocolate curls, and the Java Berry Frappuccino, a java chip frap with similarly infused whipped cream. The festive refreshments were first given out as samples to customers at the Tucson location. However, it didn't take long for these drinks to find love as people started asking for them by name. "I was actually surprised with how popular they became," Aguilar told Delish. Though the festive refreshments aren’t featured on the coffee shop’s menu, the drinks may be on the Starbucks "secret menu," depending on the location and if you ask nicely. Knowing the recipe will help too, a Starbucks' spokesperson told Delish. It’s even possible consumers in China might be able to get in on the romance after Starbucks Corp. announced its goal to add to its 2,000 already existing locations in 100 Chinese cities. According to the Wall Street Journal, the company plans to open 500 stores annually in China for the next five years. But even if there’s not a Starbucks nearby, Aguilar made sure to share the love, posting the tasty concoctions on Reddit.